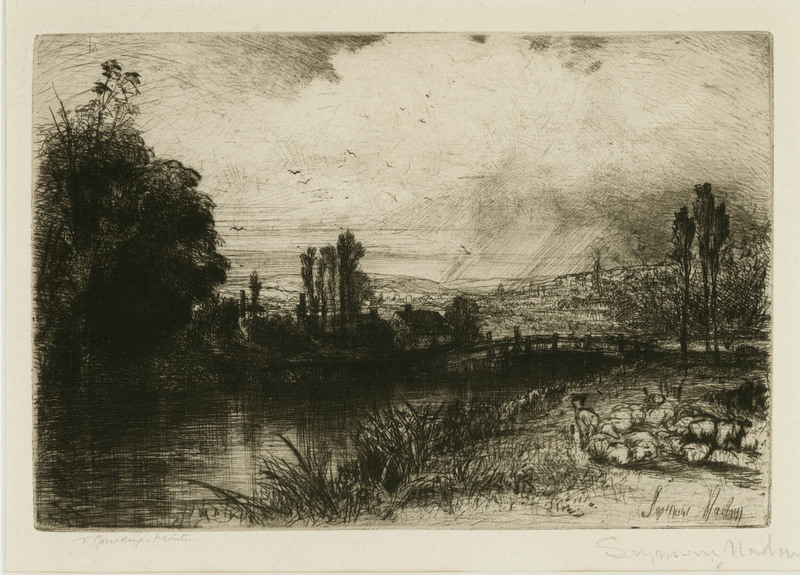 This is a very fine original etching and drypoint by British artist Sir Francis Seymour Haden. The title of this work is "On the Test", state VI/VIII. This etching was created in 1859 and its subject is one of the famous Trout streams in Hampshire. The image measures 5 15/16X 8 15/16 inches, pencil signed lower right and also signed in the plate. This appears in the Schneiderman catalog as image number 24.